Purple_A6_Envelopes_-_4_34_x_6_12 is rated 4.8 out of 5 by 5. Rated 5 out of 5 by jbfiddle from Fantastic Color and Quality Excellent envelopes. The paper is highly textured, which feels just right with my gold paint marker. Rated 5 out of 5 by Dodds24 from Perfect addition to my invitations I bought these for my wedding invitations and I couldn't be happier with my choice. Our wedding colors are purple and when I saw this metallic purple envelope I fell in love. But the invitations had a rustic feel with kraft paper and twine and I was concerned that it wouldn't go well. Jam paper gladly sent me sample envelopes without a garuntee of purchasing. The samples arrived on time and I was ecstatic that the metallic worked great with my invitations. I'm so happy with how it all turned out!! 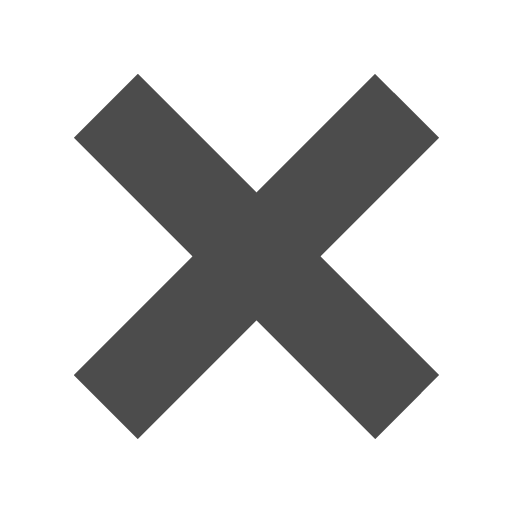 Rated 4 out of 5 by Brandgraphics from Nice product, but much paler than online image The entire shopping process and delivery went smoothly and quickly. No fault with that. The envelopes are not the color shown in the image. This is the reason for four stars. They are very lovely, and have a nice quality chic metallic surface. There is a lot less purple pigment in them. Very very pale lilac metaillic. Rated 5 out of 5 by Jazzman from Great prices & quality The paper & envelopes exceeded my best expectations. Rated 5 out of 5 by Pennymail from Darker in reality without photography light. 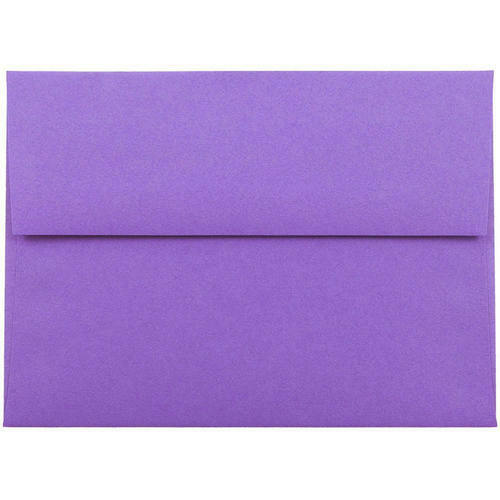 I bought purple envelopes to go with Baby Shower Invitations and Thank You Notes. It was a bit hard to read addresses even when using dark permanent marker. But matched well and we managed. If my paper is 4 1/2 x 6 1/2 will it fit in this envelope? We know that Prince only wanted to see you underneath the Purple Rain, but JAM Paper & Envelope wants to guide you to these purple envelopes! If anyone can explain to us what the song "Purple Rain" actually means, free A6 envelopes coming your way! Kidding. But really what do those lyrics mean? Maybe send us a letter explaining Prince's smash hit using these envelopes. We will definitely be of service to you after that! Our assortment of colors are perfect for any 4x6 photo of Prince (we secretly all want one) or even fan mail cards to Prince himself. We're almost positive that he will write you back if he gets one of these purple shaded envelopes. Almost. If not, just start singing Purple Rain and send one of our darker purple hued envelopes to all your friends with hate for the very busy superstar. It might make you feel better! If Prince doesn't satisfy your jamming out needs, use these envelopes for another use: wedding coming up? Business in need of some unique marketing? Purple themed birthday party? These envelopes are for you! Purple A6 Envelope measures 4 3/4 x 6 1/2. Purple A6 envelopes are available in Violet Brite Hue Recycled, Ultra Grape Brite Hue, Dark Purple, Orchid Parchment Recycled, Ruby Stardream Metallic, Wisteria Purple Translucent, & Primary Purple Translucent.